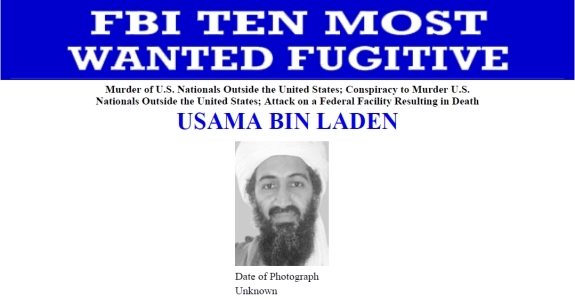 Source: FBI, prior to May 1, 2011, U.S. operation that resulted in bin Laden's death. Source: FBI, May 2, 2011. “The mastermind of the attacks on September 11, 2001 that killed thousands of innocent men, women, and children has been killed,” the FBI said today. President Obama addressed the American people late last night to inform them that the United States had carried out an operation in Pakistan after assembling actionable intelligence over the past several months. “Tonight, I can report to the American people and to the world that the United States has conducted an operation that killed Osama bin Laden,” the president said last night. 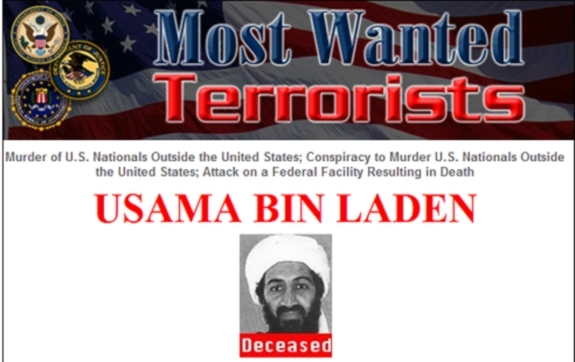 The FBI noted today that bin Laden had carried out other attacks.